Desired top floor with courtyard view. Turn key Better then new, with all the features and amenities today's buyers desire; sunny and bright open floor plan, in this 2 bedroom 2 full bath condo. 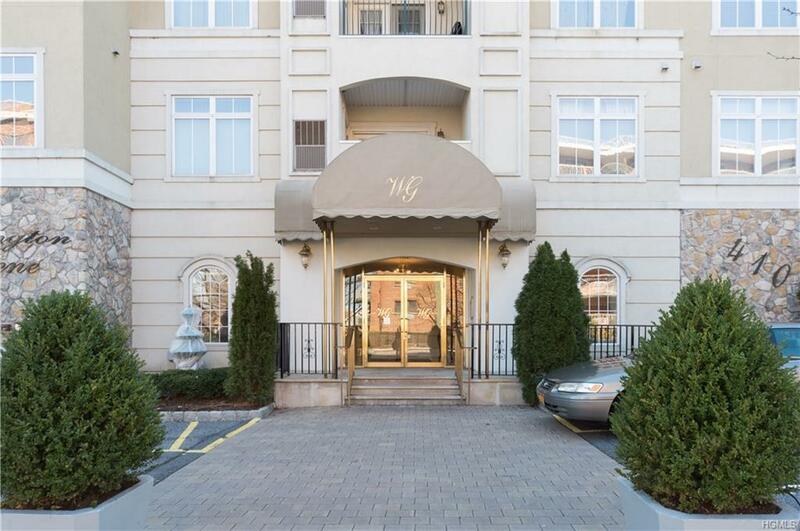 Fancy, high ceilings, balcony, wood floors, recessed lighting, generous size rooms, beautiful master bedroom with en suite large bath; with soaker tub, stand alone shower, and double sink. Attractive open kitchen with granite and stainless steel, inviting dining bar to entertain. Washer/dry in unit. 2 indoor parking spaces preferred and convenient lobby level location. Stunning lobby, 2 gyms and library with gated parking. Close to shops, restaurants and train just minutes NYC via Metro North. Listing courtesy of Jane Fastiggi of Houlihan Lawrence Inc..